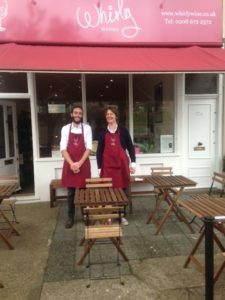 WHIRLY WINES NOW SERVING LUNCH THURSDAY TO SUNDAY, 12-3PM as well as Ice creams from Ice cream union now back on the menu! Following a recent trip to Sicily, written up below I was inspired by the street food in Palermo which is the best in Italy, or so they say! So from the 1st June we are serving lunch from Thursday through to Sunday and we will of course be open for Mr Whirly’s Italian inspired farmhouse menu in the early evening too. All the dishes are handmade by Mr Whirly and with some great Whirly wines by the glass that start from £2.00 for a 75 ml measure of Organic and Bio Viognier or Carignan from La Bouysse in Corbiere, the same wine you can fill up your 1 litre bottle for only £10.50, it really does go to show that Whirly wines is not in anyway an expensive place to eat and drink wines that have been carefully chosen for you from the smaller producer. I look forward to welcoming you to the Whirly wine shop soon! Whirly wine Aperitif bar and wholesale wine prices….. The Aperitif bar has been open for a week now and although the weather has been against us in the first week with a great deal of running outside to rescue menus from the rain and hail, its been a positive start with an excited reaction from customers and locals, so thanks so much for that. The Menu for this week is below! 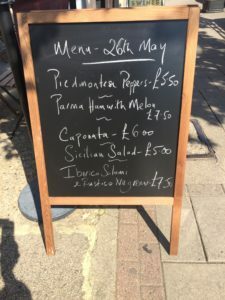 This week we introduced some Iberico Salami de Bellota and Locally baked Foccacia from the Elephant bakery in Streatham served with the wonderful olive oil from Velenosi in Marche that I import together with their very individual wines like the LaCrima. I have changed the wine list this week and added the very unusual Willespie Margaret river White 2011 ( blended with their four main white varietals, Verdelho, Semillon, Sauvignon and Riesling), the Ribas Blanc 2012 from the oldest winery on Mallorca, over 300 years old now as well as the Perusini Ribolla Gialla 2014 from the glorious white wine region of Friuli in North East Italy that borders Slovenia and Austria. Stunning wine, so very fresh and clean with a citrus finish mixed with a little wax from the lemon skin! I look forward to welcoming you soon to the Aperitif bar and if you are interested in buying wines by the case the ex vat wholesale price list is now updated on this website. I can offer free delivery to you if you are a local SW postcode! Lastly the “Wine of the month” page will start again in May with some new wines from Gascogny that I am importing this week! Stunning Strawberry rose that will soon be served in the Aperitif bar very soon at around £1.95 for a 75 ml tasting glass, so not in anyway expensive! Enjoy Whirling! 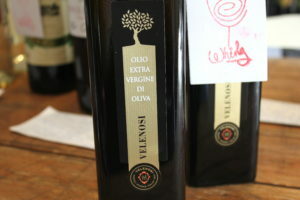 We have delicious Olive Oil! The sun is beaming into the shop on Ritherdon Road and I thought you may like to know we now stock a beautiful olive oil. I was going to write about our fabulous selection of Sauvignon Blanc (will be my next post), but I am sitting here dreaming of fresh ciabatta to dip into this perfect olive oil. Velenosi Vini Extra Virgin Olive Oil is from Velenosi’s very own olive tree groves, located in the areas of Ascoli Piceno, Offida and Castel Di Lama. They are handpicked from the end of October to November while the olives are still green. These are then pressed within 24 hours of harvesting. They use mechanical cold milling, without filtering. The colour of the oil is green with gold yellow hues. It tastes wonderfully fruity and floral with a slightly bitter almond aftertaste. It is intensely full bodied and we just love it! Why not transport yourself to warmer climates and try this delight. Now I must taste some Sauvignon for “research” purposes ….